Congratulations to Gomer Junior School in Gosport who recently won the Tes STEM team award. Learning today for the challenge of tomorrow” is the ethos of Gomer Junior School in Gosport. Children receive three hours of science, technology, engineering and maths (Stem) learning per week – an exceptional standard for a primary school – with children encouraged to “think like engineers”. To facilitate this, the school has linked “engineering habits of mind”, developed by the Royal Academy of Engineering, to its own pedagogy. Learners are motivated by and understand the real-world applications of Stem subjects and they experience hands-on activities that bring learning and career opportunities to life. This can range from designing an F1 car and putting it through speed tests to coding Crumbles and programming BBC microbits. Not content with championing Stem within its own setting, Gomer is spreading its expertise beyond the school gates. 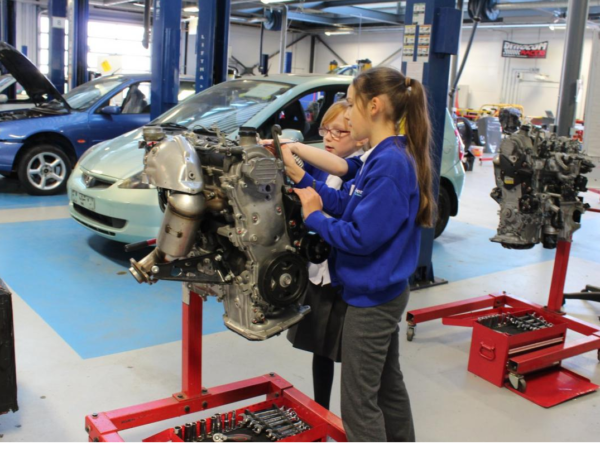 The school is a founder member of the Gosport and Fareham Multi-Academy Trust, and its Stem model is being used to create a continuum curriculum in the trust’s secondary schools of 4,000 pupils. The school has also been awarded an ENTHUSE partnership to lead on Stem improvement locally. Gomer is working with the University of Chichester to share its pedagogy and support the institution with the writing of a primary undergraduate Stem degree course. For more information on STEM activities, networks and programs across the South East, please visit our STEM section.